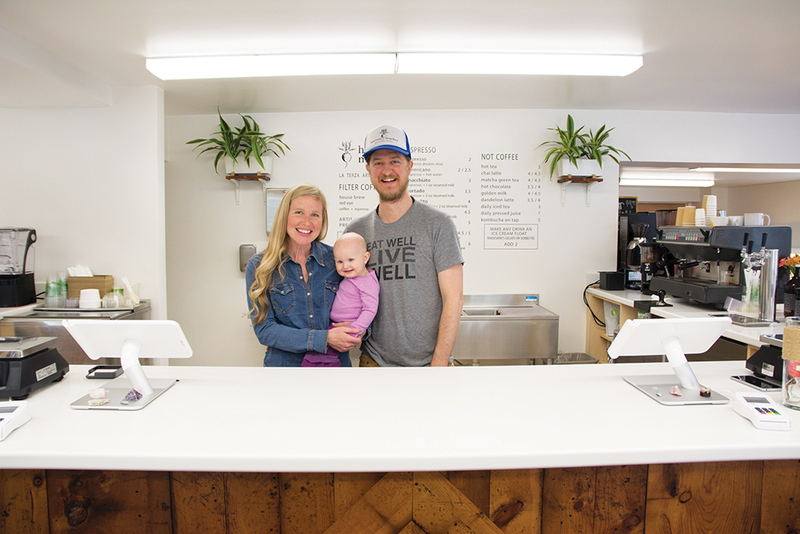 The upstairs, as well as the old deli space, is now occupied by Ben and Maureen Redman, owners of Harvest Market, which celebrated its one-year anniversary in April. 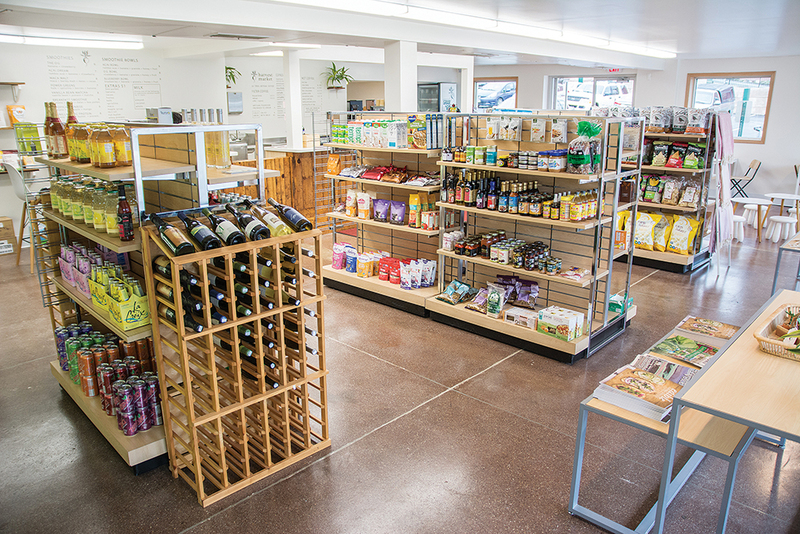 “We like to describe it as a reimagined convenience store,” says Ben, who gestures to Maureen (a Milfordian herself), and she adds, “or a mom-and-pop for the modern age.” With a focus on fresh, local products, the specialty market more closely resembles a mini-Whole Foods Market than a bodega. 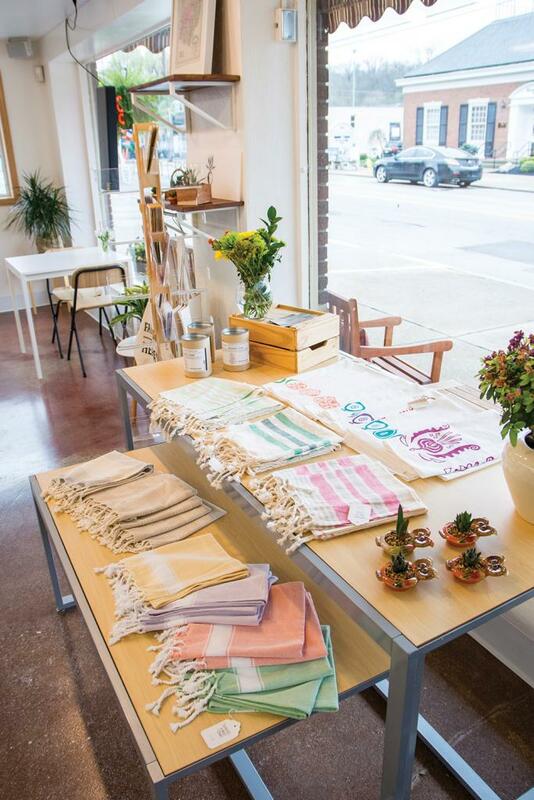 Before opening, the entrepreneurial duo honed their business know-how through ArtWorks’s CO.STARTERS, a Cincinnati-based nine-week startup-mentorship program. 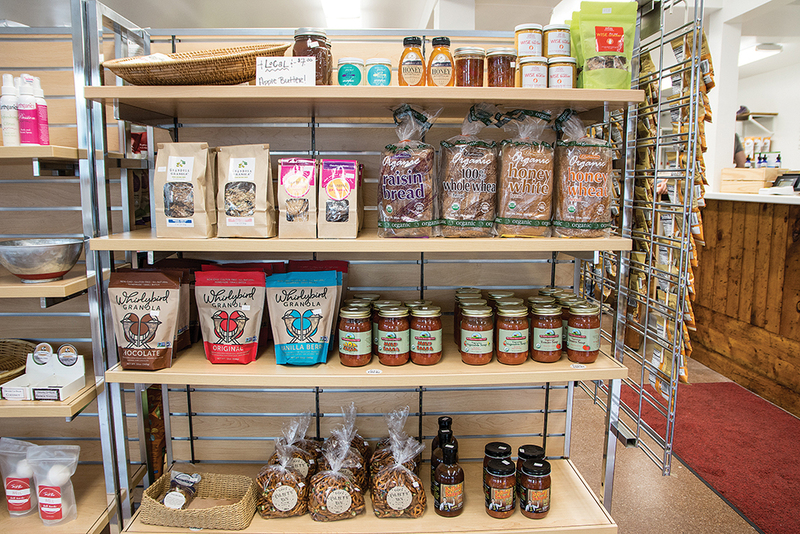 Its groceries include locally sourced foods ranging from meats and milk to artisan breads, canned goods, and a selection of farm-fresh fruits and veggies, also giving space to natural health and beauty products, as well as crafted wares like hand towels, cards, and candles. 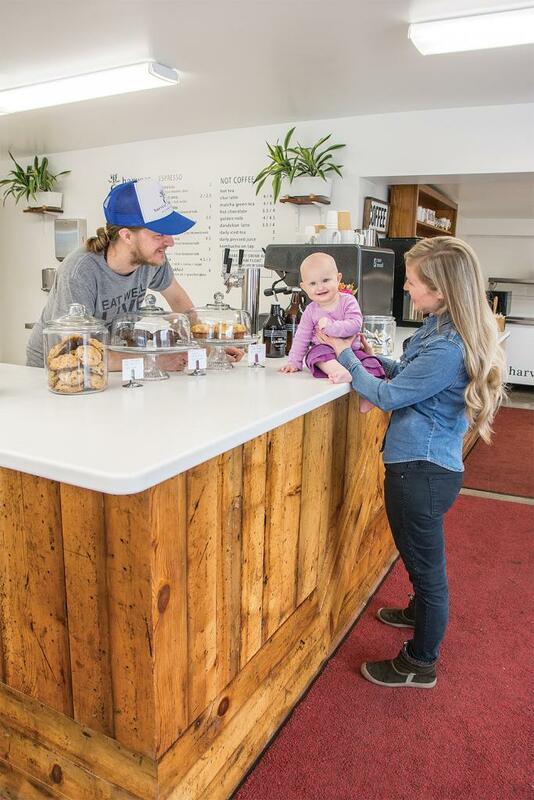 We picked up a six-pack of MadTree from their cooler of craft beers (there’s wine, too) and browsed the menu of La Terza coffees, a selection of teas and kombucha on tap, while we enjoyed a chatty checkout with the Redmans across their hand-built counter. Don’t miss out on the hot bar, which serves a lunch special and soup of the day (Tues–Sat), with surprisingly metropolitan dishes like Mediterranean-style chicken and quinoa, paleo sausage, or vegetable curry (check their Facebook page for weekly menus). 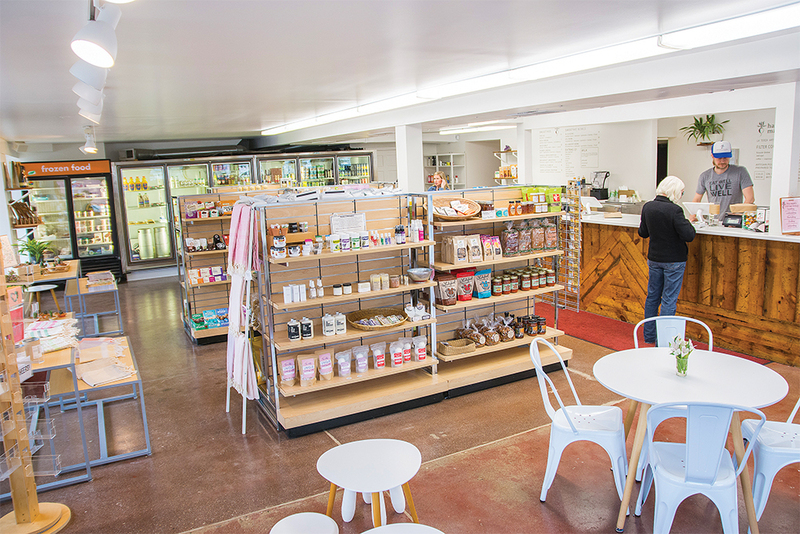 You can grab and go or stick around to enjoy your food in the market’s bright space at one of the café tables looking out on Main Street. 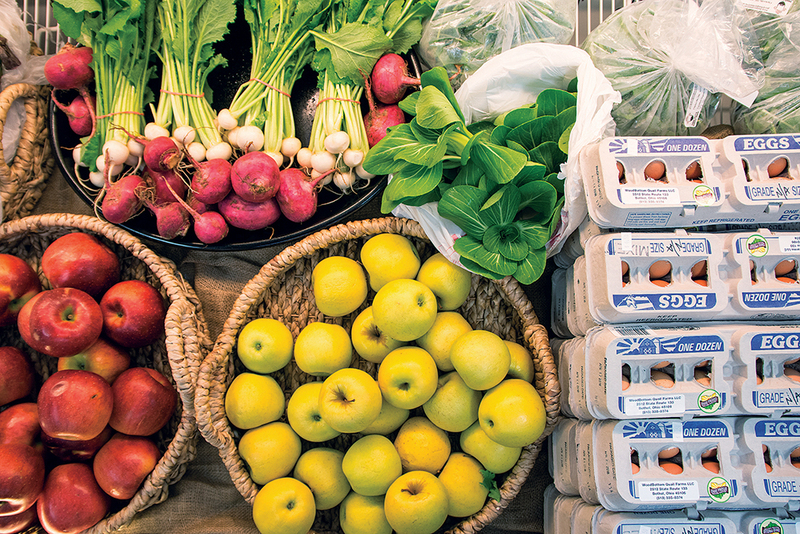 Good to know: No need to venture into the big city for vegan dining options. All of Harvest’s hot bar side items are prepared vegan-friendly. Harvest Market, 308 Main St., Milford, (513) 239-5400, facebook.com/harvestmarketmilford. Tues-Sat 8 am-7 pm, Sun 8 am-4 pm.